The Cambridge Chop House was the first of our two Chop Houses. It is in the heart of the city centre, 50 yards from King’s College Chapel and a similar distance from the Arts Theatre. The restaurant has a wonderful cellar area with spacious, white washed walls and the ground floor area has spectacular views. The food is traditional British, no nonsense and keenly presented. We take our real ales very seriously and serve local ales straight from the cask at sensible prices. The wine list is thorough and imaginative. Service is knowledgeable, smiley and efficient. 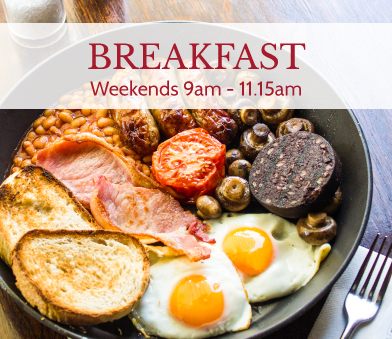 We now serve breakfast 9am – 11.15am at weekends at Cambridge Chop House. A spectacular spot to start your morning – try our hearty Full English, Smoked Kippers on Toast, Bacon Chop with a Poached Egg, a simple Porridge or just a Bacon Roll on the go. 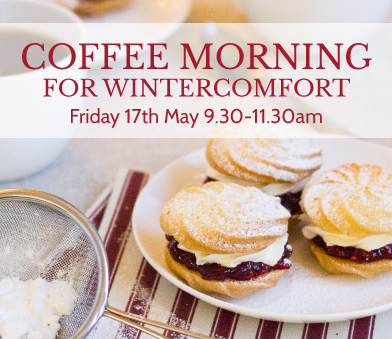 Join us for tea, coffee and homemade cakes at The Cambridge Chop House, all in support of our chosen charity, Wintercomfort for the Homeless. To read more about our Back To Work Scheme and other ways we support Wintercomfort please visit our Community page. 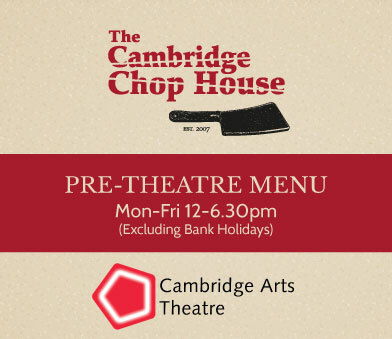 The Cambridge Chop House is located less than two minutes walk away from Cambridge Arts Theatre (6 St Edward’s Passage.) Cambridge Arts Theatre is one of the region’s liveliest and most exciting venues, hosting a varied programme of drama, dance, music, comedy and pantomime, as well as many shows prior to and direct from the West End. Our excellent value Pre-Theatre Menu is the perfect way to kick start an evening. You can buy your Theatre Programme from The Chop House and even return after the show to have your dessert and coffee. Every evening at Cambridge Chop House we present a selection of steaks at the table for you to choose. All are served with chips. 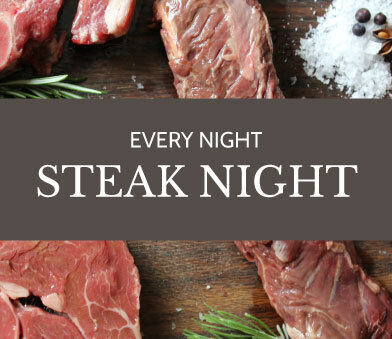 From Hanger Steak, to Rib Eye, Sirloin, Barnsley Chop, T-Bone & Rump Cap Pavé – steak lovers are in for a treat! Our emphasis is on great British classics, steaks & chops, unusual cuts of meat, all sourced locally where possible and served to reflect the seasons. Aside from our main menu and pre-theatre / lunch menu we also have a daily specials board. Food is keenly prepared, presented and served by a knowledgeable team. Our wine list is quite unique in that it focuses on the Languedoc-Roussillon region of France. We have visited the region many times, with staff, and have met very nearly all of the wine makers on our list. We take our real ales very seriously and serve local real ales at sensible prices. Lagers are from Calvors brewery in Suffolk. Our Cider is Sheppy’s single variety from Somerset. We also offer a good selection of soft drinks. Be the first to hear about new restaurant openings, special events and offers.We send roughly 2-3 emails per month. Please note we do not share email addresses with third parties. We have put together some frequently asked questions and answers. Should this not do the trick please call or email us, and we will be happy to help. Yes. It is always advisable, especially for pre-theatre or the usual busy nights. We are a very busy restaurant and will always endeavour to fit you in but please book to avoid disappointment. Book online here. Do you offer a pre-theatre menu? Yes we do. Our pre-theatre menu is available Monday-Friday 12pm – 6.30pm (excluding Bank Holidays.) Please see the menu section of the website. Can we just pop in for a coffee? Every morning from 10am – 12noon we serve barista coffee, loose leaf teas and freshly baked pastries. With views out onto King’s Parade… it’s a great spot to sit and watch the world go by. Are children allowed in the restaurant and ground floor bar area? We welcome children of any age in the restaurant and we have a children’s menu. We do however request children to be well behaved, seated and other customers to be considered. Do we have disabled access? Yes for the restaurant on the ground floor. The toilet on the ground floor however does not meet wheel chair specifications. The grand arcade car park is 200 metres away and there are pay and displays on Trumpington street. Do you have outside seating? There are 4 tables for 2/3 people outside on King’s Parade. We don’t take bookings for these tables and they are taken on a first come first serve basis. Can we request a table? You can try! We will always do our best to fulfil a request but please never assume a request is guaranteed. Outside of the Christmas period our maximum party size is 14 (Sunday to Thursday) and 8 (Friday and Saturday). Unfortunately we do not accept hen or stag parties of any type.